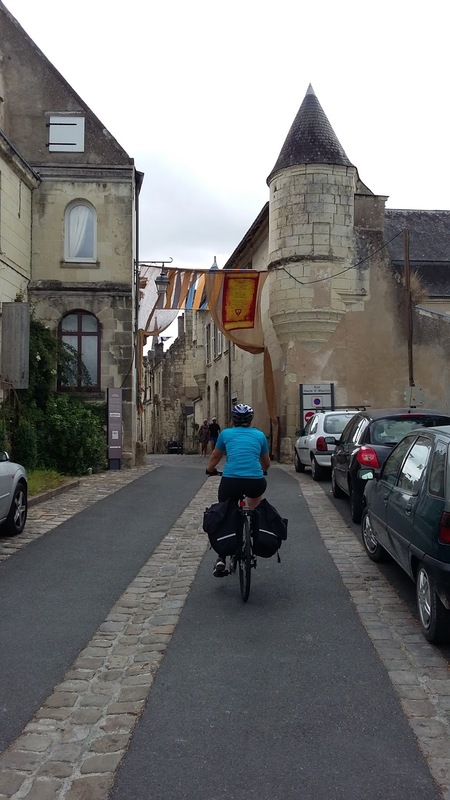 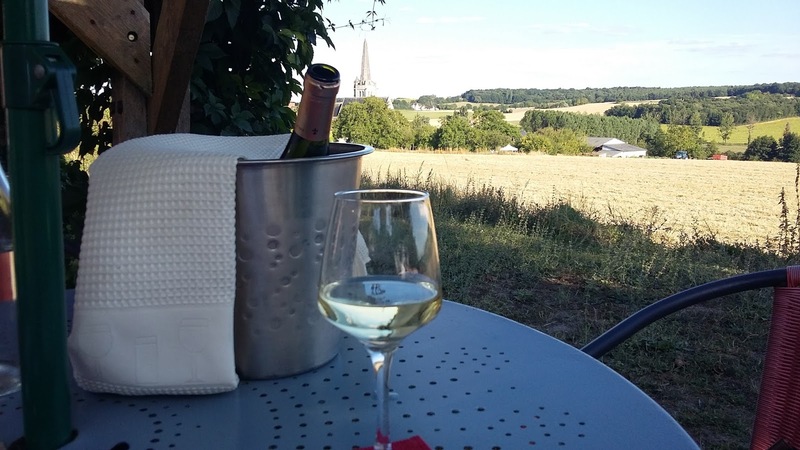 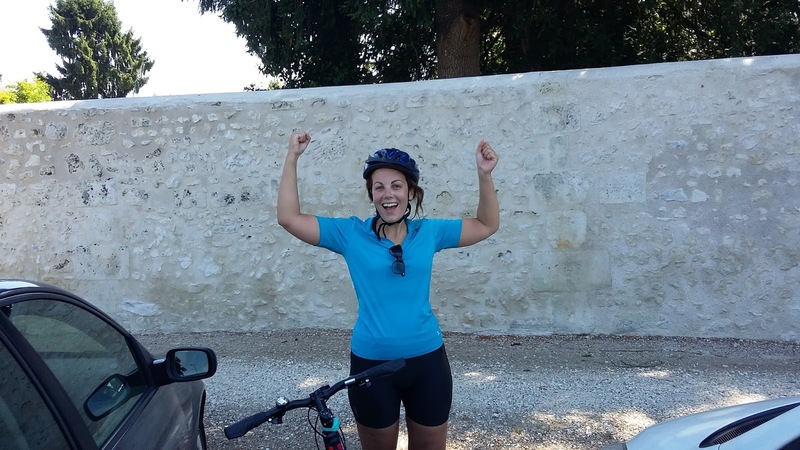 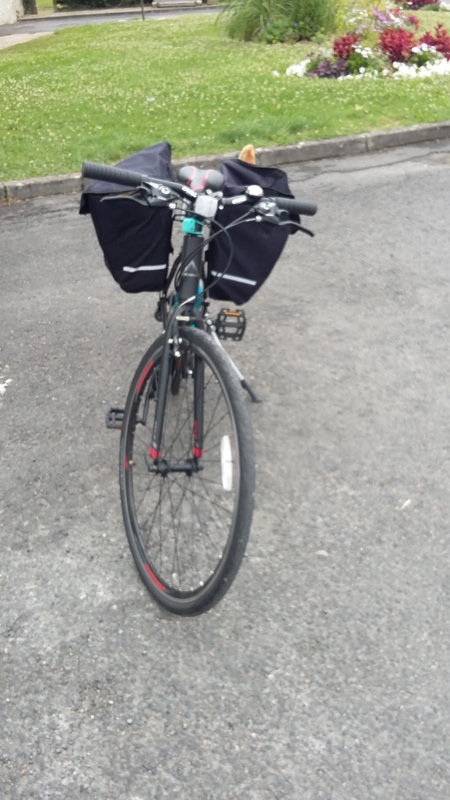 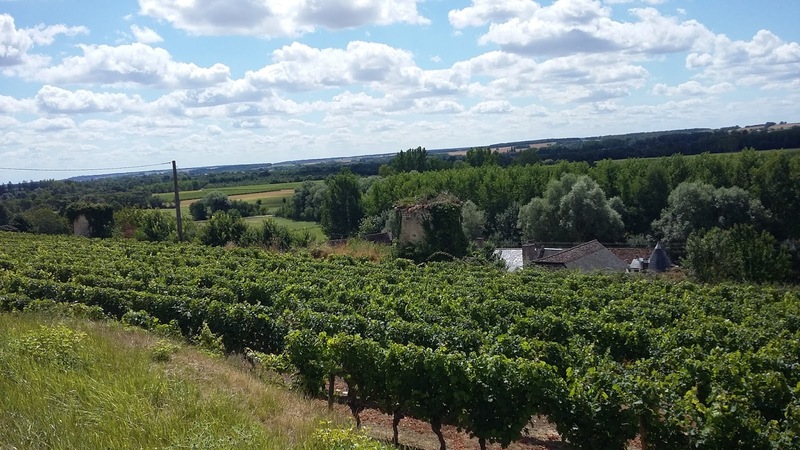 A few weeks ago we went on our first cycling holiday in the Loire Valley. 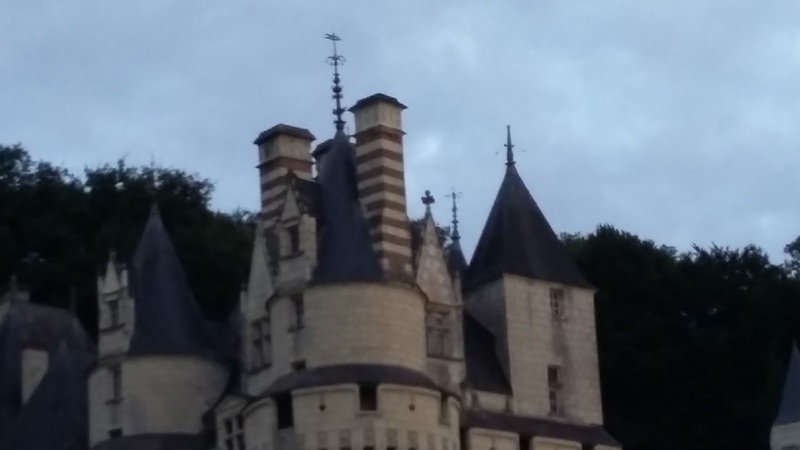 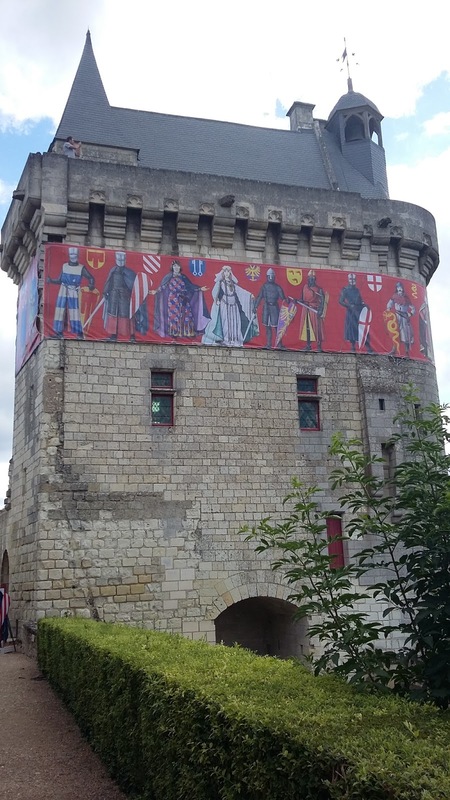 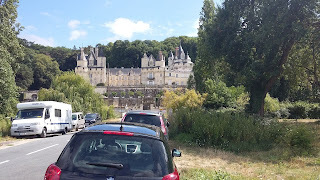 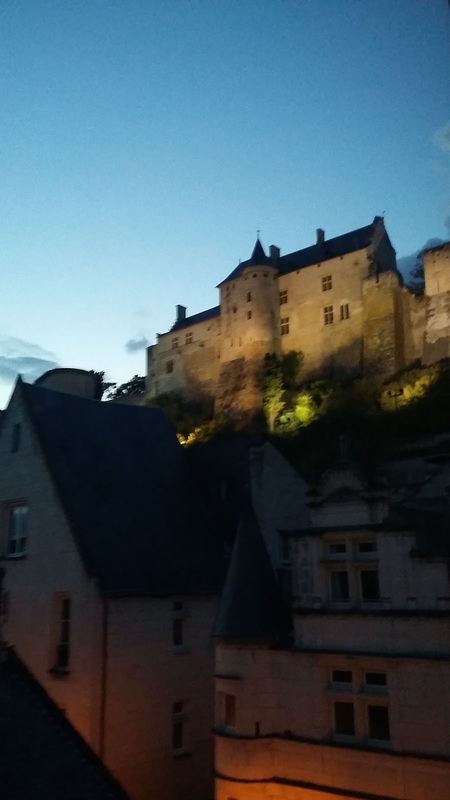 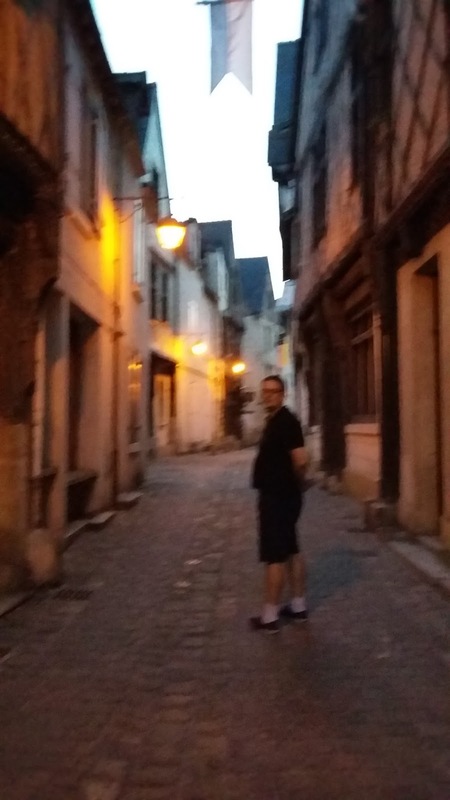 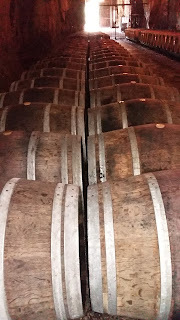 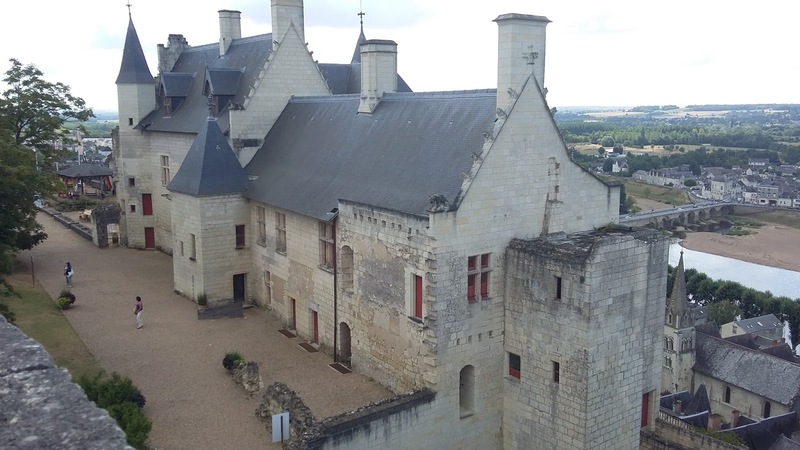 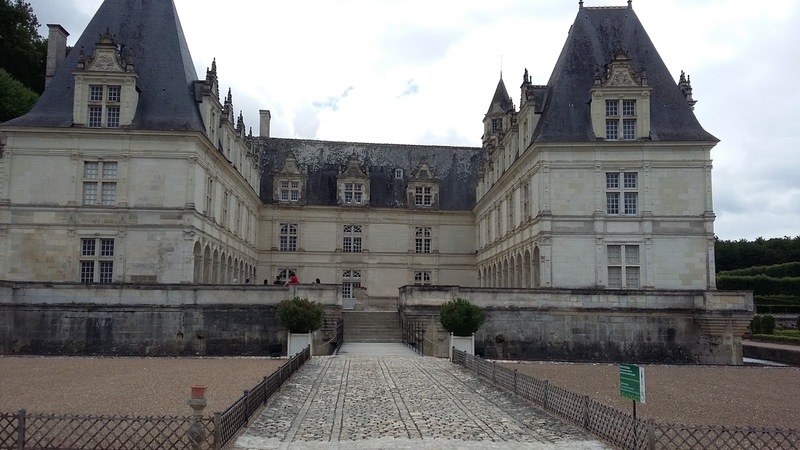 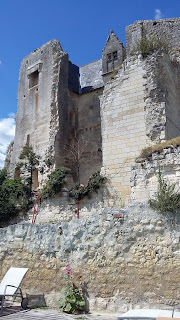 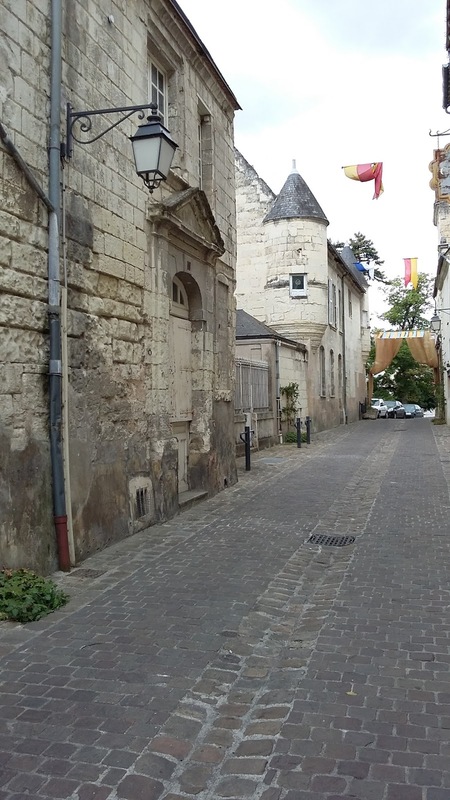 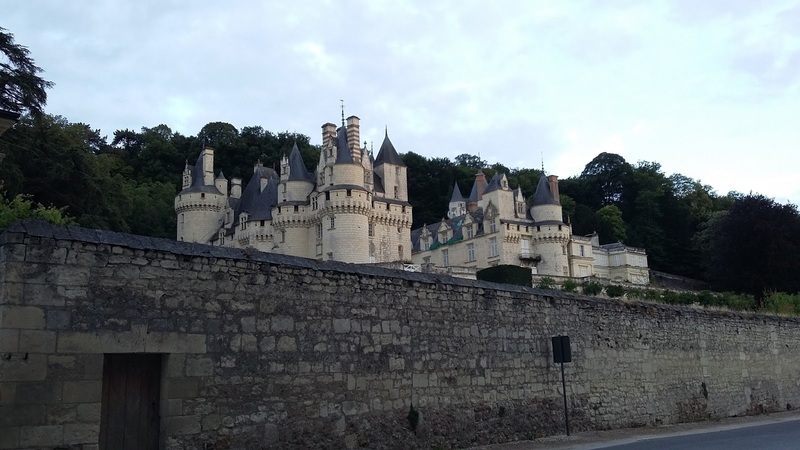 We drove to Azay le Rideau where we left our car and over the next few days cycled through to Rigny Usse, Chinon, Crissay sur Manse and then back to Azay le Rideau. 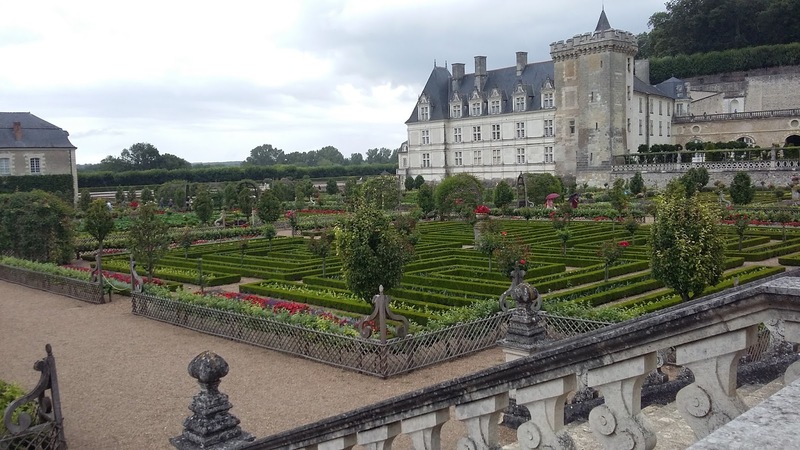 The whole place was stunning and it would take so long to describe everywhere we went so instead here are the highlights of our photos. 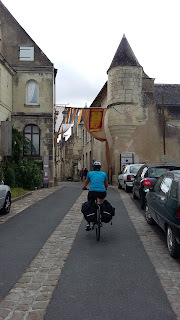 We didn't want to wear a backpack in the heat and so all of our things were packed into panniers. This made my bike slightly unbalanced and much heavier! 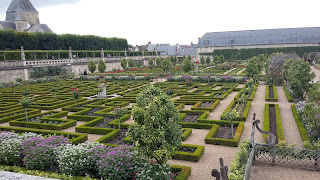 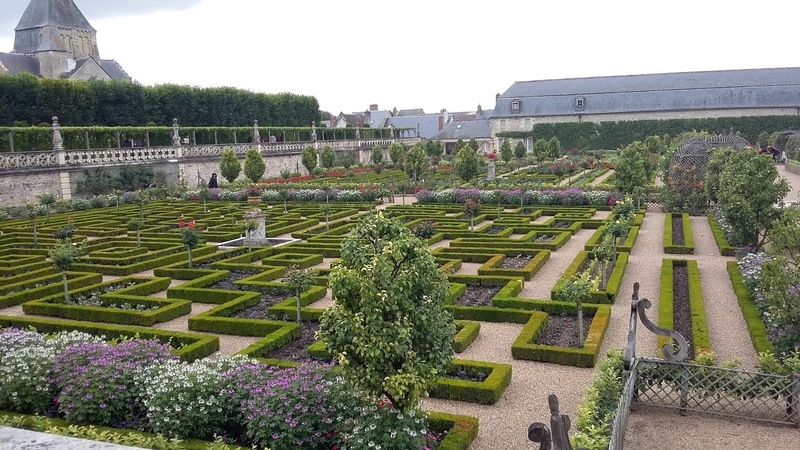 On our way we stopped at Villandry Chateau which had stunning gardens. 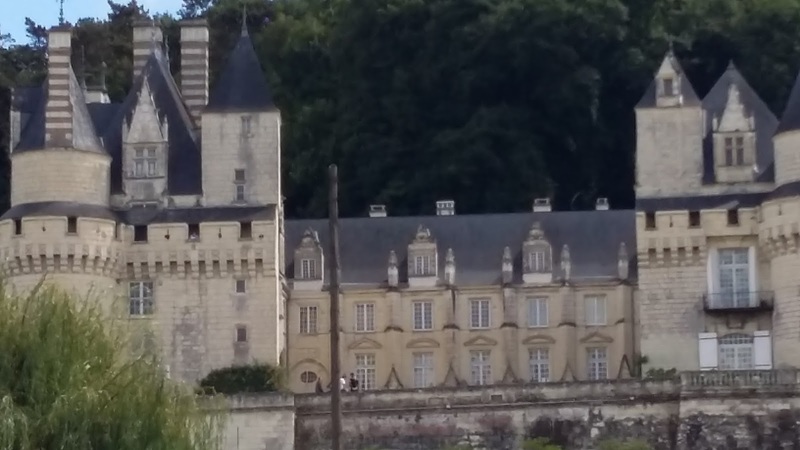 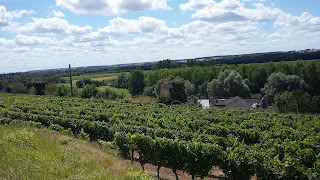 The view as we cycled into Rigny -Usse, the chateau is claimed to be the inspiration for the castle in Sleeping Beauty. 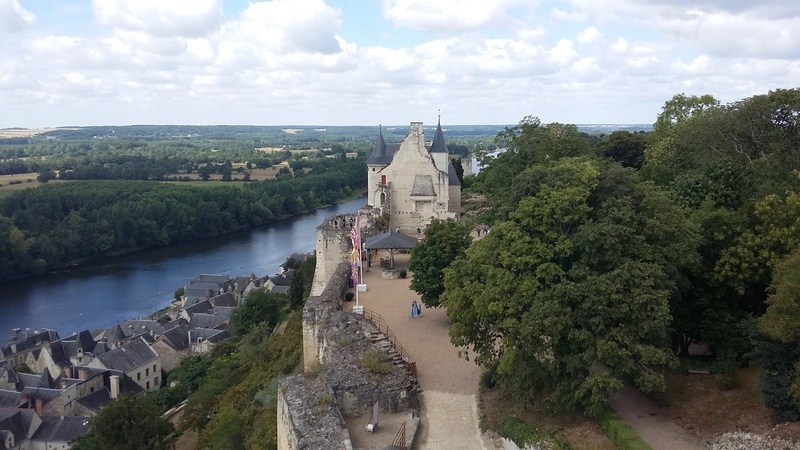 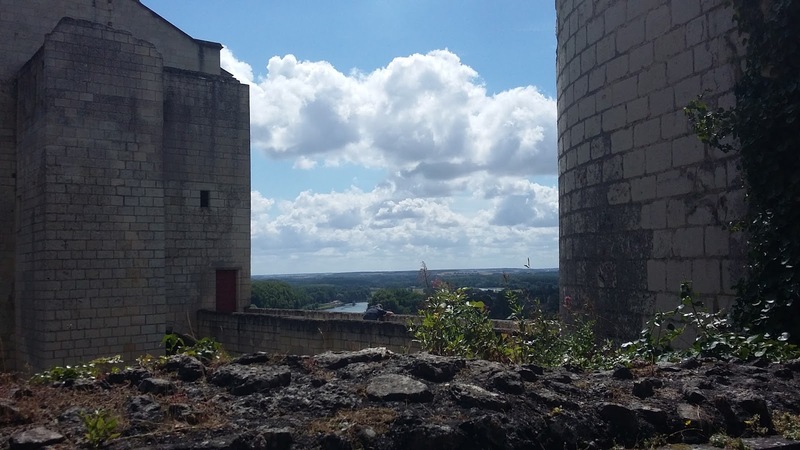 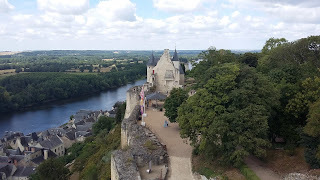 The view from Chinon Chateau. 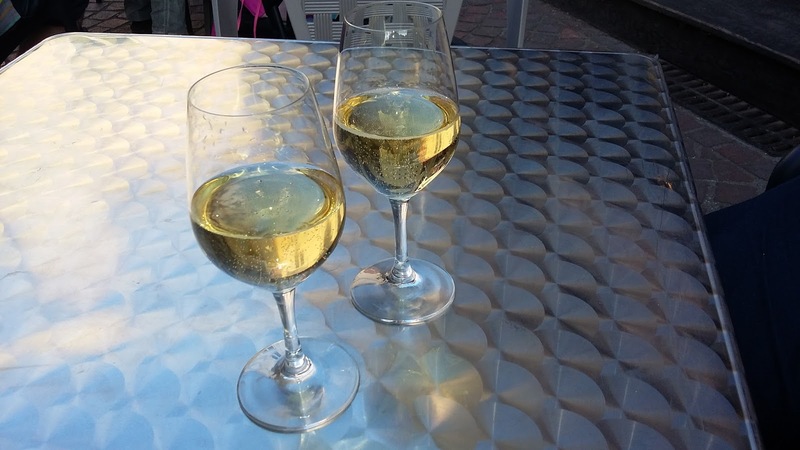 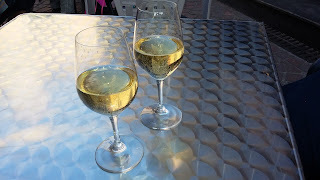 ...Tasting some more local wine. 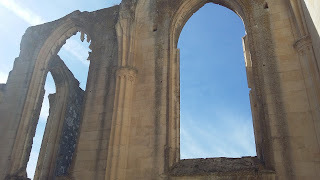 A beautiful old ruined abbey which we came across on our last day.